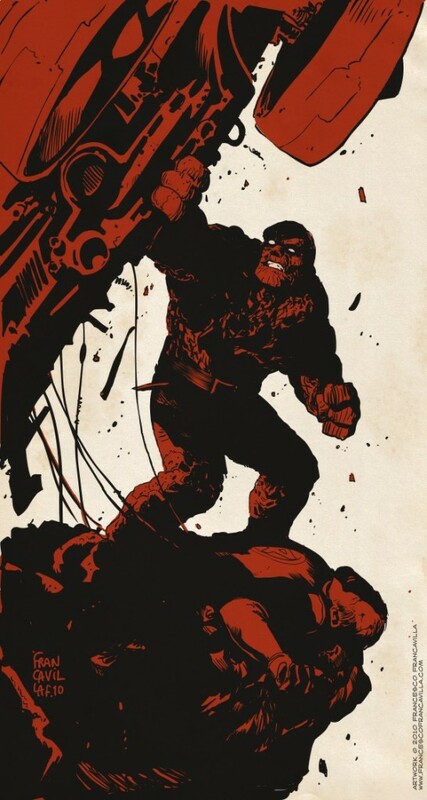 Posted May 1, 2010 in Blastaar, Doctor Doom, Evan Shaner, Francesco Francavilla, Reed Richards, The Hulk, The Thing. 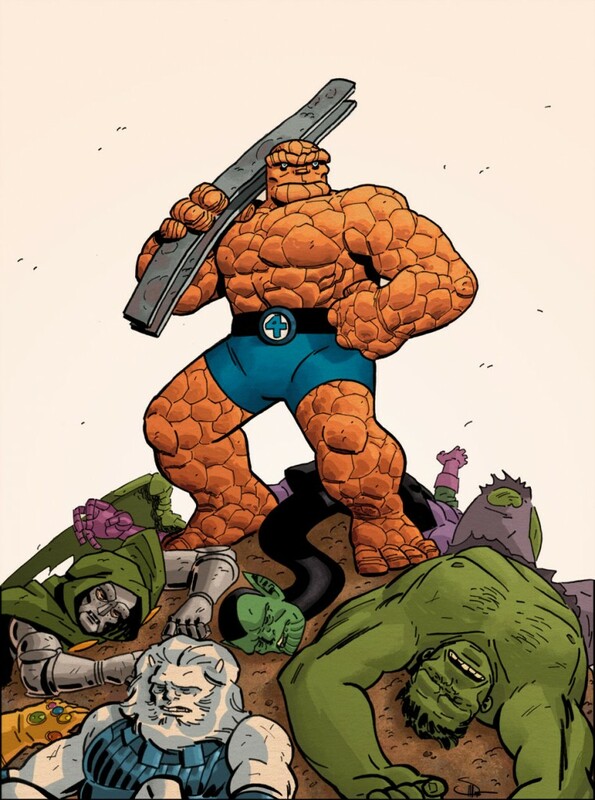 Ben Grimm, the ever lovin’ blue eyed Thing, is this week’s choice at the collective sketch blog, Comic Twart. Aunt Petunia’s favorite Nephew was chosen by Evan ‘Doc’ Shaner, whose fantastic contribution above features no less than five Kirby creations. This dynamic rescue scene, which also features Reed Richards, comes from the brush of Francesco Francavilla. Francesco’s pulp inspired artwork has graced the pages of Zorro, The Black Coat, Sorrow and the forthcoming Garrison. He is the creator of Black Beetle, whose adventures can be found every Sunday at Franceso’s blog, Pulp Sunday. If you would like to see more of Francesco’s lovely work, be sure to visit his sketch blog and website also. At the time of writing, Comic Twart‘s Thing week boasts new artwork from Kirby-Vision contributors Dan McDaid, Chris Samnee and Ron Salas, along with Twart regulars Mitch Gerads, Urban Barbarian, Tom Fowler and Mitch Breitweiser. Don’t miss it.